The fine folk over at Rockstar are known for giving their games a high degree of freedom when it comes to approaching various tasks, and it looks like Red Dead Redemption 2 is no exception to the rule. In addition to the usual types of hunting and fishing activities that players might expect from a game with a focus on survival-style elements, it turns out that there's a very easy way to round up fish without ever having to pull out a rod and reel: dynamite. 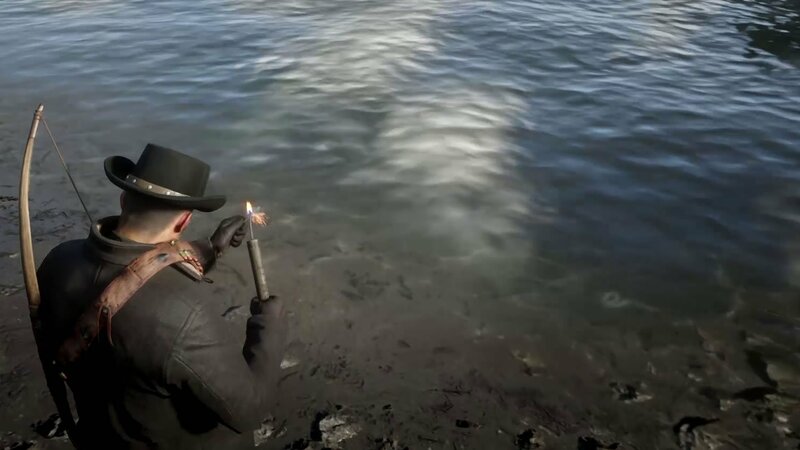 The method for fishing with dynamite in Red Dead Redemption 2 couldn't be any more straightforward: simply rock over to the nearest body of water, look for some aquatic victims light the fuse on a stick of dynamite, then throw it into the water while aiming at the fish. Before long, the dynamite will detonate, and several fish corpses will float up to the water's surface. Boom, instant results. It should go without saying that fish killed with dynamite will likely show up in Poor condition — that's assuming the concussive blast doesn't outright annihilate them, of course — but the method does at least have its own sort of humorous flair. However, the destructive power of dynamite has been used for fishing in the past, so it's not entirely out-of-place in Rockstar Games' latest title. As for using explosives in creative ways, well, that's just par for the course in a Rockstar release. Fishing with dynamite is but one of the many entertaining activities the Shacknews crew has discovered while exploring the Old West. To learn about some of the others, or to brush up on combat mechanics, Wanted Bounties, or general hints and strategies, be sure to head over to Shacknews' Red Dead Redemption 2 walkthrough and guide. I haven't unlocked fishing yet but my horse stood on a fish and killed it, so that's my first. Also same horse ran over a rabbit I had just shot and disintegrated it.